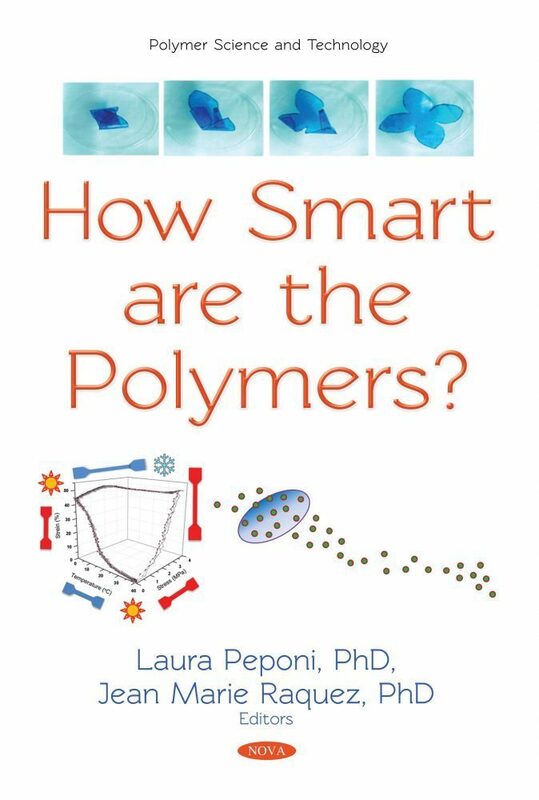 Home / Shop / Books / Science and Technology / Chemistry / Polymer Science and Technology / How Smart are the Polymers? Smart polymer materials represent an exciting range of novel materials for advanced applications such as aeronautics and biomedical devices. These materials are able to sustain any external stimuli including temperature, pH, electric and magnetic fields and response in an adaptive and proportional manner to this environmental change. Two main categories of smart materials are able to encompass these features, i.e., self-evolving materials and self-healing materials. Self-evolving materials can, for instance, reconfigure themselves on-the-fly to react upon changing environmental conditions. A variety of possible material candidates can be described as self-evolving materials including shape-memory polymers, adaptive hydrogels and actuators changing their properties in response to external stimulation. This book proposes a comprehensive knowledge on smart materials that encompass self-evolving materials and self-healing materials, including their implementation of 3D-printing technology. Combining smart materials and additive manufacturing has thereby been introduced as an inspiring way to provide more complex 3D objects with elevated adaptive properties. They are myriad issues that are still challenging with the construction of these smart materials, including their additive manufacturing, but the book will offer novel opportunities to obtain multi-responsive materials in advanced technology. Chapter 14. Is Your Polymer Smart Enough? Better Make a Hybrid!